While I work on a project I usually need two iTerm tabs. One to start and monitor my grunt tasks and one for doing git. So every time I start working I have to navigate to a folder two times. But what I did find instead was an option to always open a new tab with the current directory. And that’s all I need. 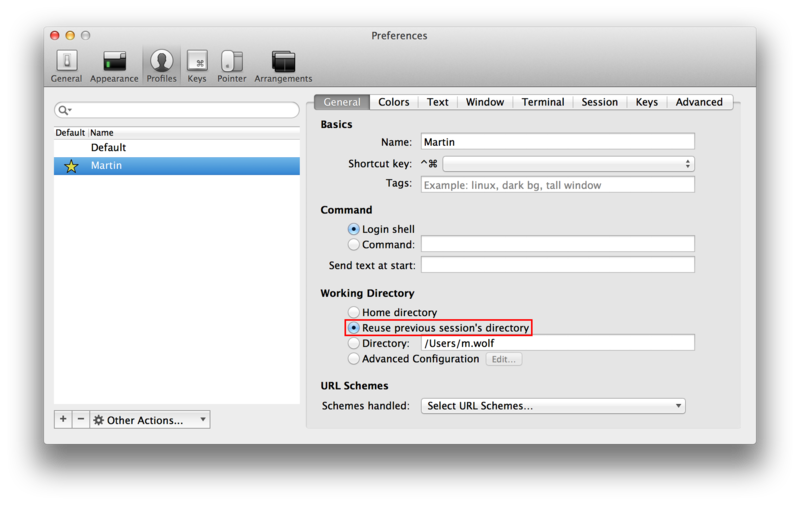 Go to Preferences -> Profiles -> General and under Working Directory choose Reuse previous session's directory. This is useful, thanks for sharing.